Portable exhibition stands offer a straightforward way to showcase your company at an exhibition or any other event. Here at Fresco we have a wide range of exhibition displays to suit any venue or budget. Our portable display stands include unique products invented by Fresco as well as the best of the rest. We can also offer fast turnaround times on all of our display systems. When you arrive at an exhibition you need to be confident that everything will look just right. Our portable exhibition displays are always put up in our showroom before we send them out to customers to ensure everything is working exactly as it should be. 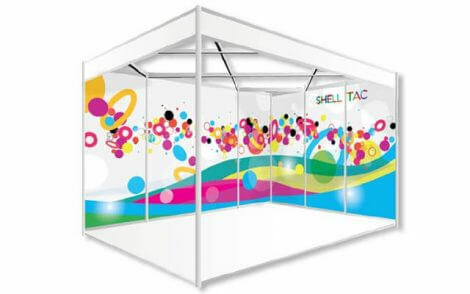 Whether you need a simple but effective roller banner stand or a larger portable display such as a pop up banner or perhaps a display system to cover the walls of your shell scheme booth, we have good choices for you. 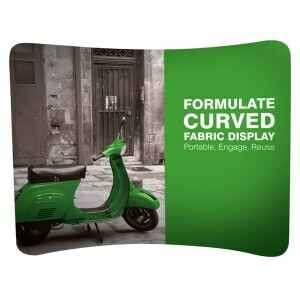 Our range also includes a fantastic selection of fabric displays. Pop up displays are tried and tested favourites. Large, impressive and curvy, they come in a wheeled drum containing the framework and graphics. The drum can then be converted to a useful counter with the addition of a graphic wrap and counter top. 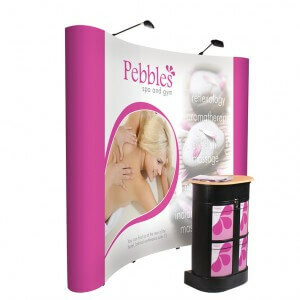 A pop up portable display can be used at any venue. A good quality pop-up will give years of service and the graphics can be easily replaced as your message evolves. 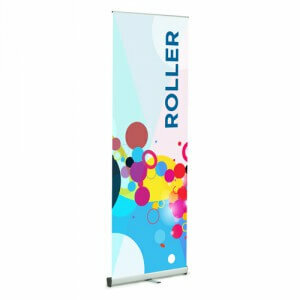 The classic roller banner could not be more portable or simple to use. The graphics simply pull up from the base and away you go. After the show they roll themselves back in for transport and storage. Roller banners are generally about a metre wide but are now available up to 3m wide! You can change the graphics on your roller banner at any time. Simply send your banner stand back to us and we can apply new graphics and return to you as good as new. 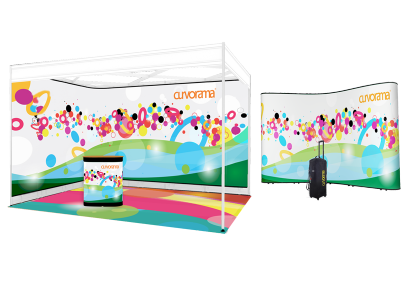 The most versatile portable exhibition stand in the World, Curvorama can be used either free-standing or wall-mounted to a shell scheme. Curvorama comes as individual panels that join instantly together to create one continuous graphic but can also be used singly. Add, swap or curve panels as needed. Curvorama copes with any exhibition space. 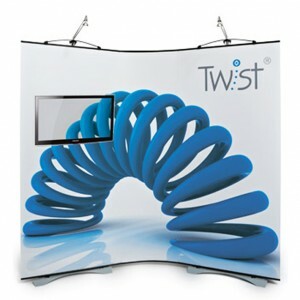 Twist portable exhibition stand also comes as individual panels that join together magnetically to create a seamless display as big or small as you need. Add an LCD monitor for even greater visual impact.